We are looking to cover our April-June hog bear spread at 9.75 cents premium to the June hogs. We entered this trade near 5.50 cents to the June, profits are so far near 3.50. This trade has gone our way and we wish to take profits on a little more of a push to the spread. This will leave us outright short December hogs, which we recommended being short of back near 66 cents. We remain bearish and are ready to sell more as continue to sell off. 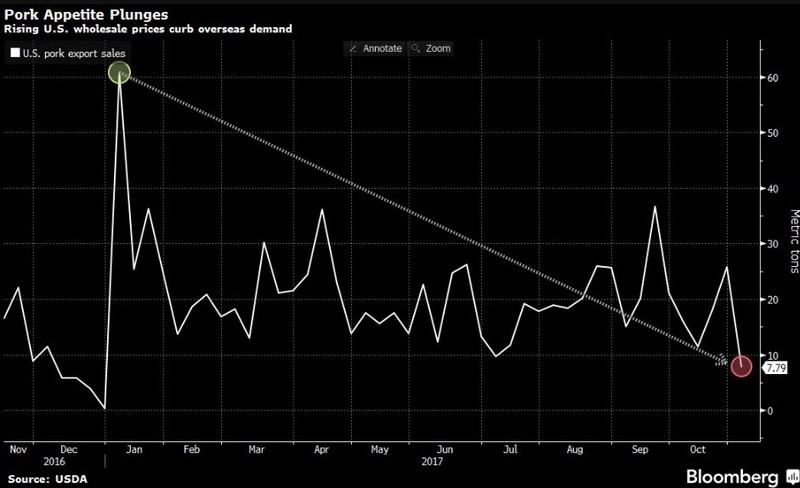 Recent export reports in hogs have been brutal and we do not see demand being able to pick up enough to offset higher weights on hogs ready to move ASAP. Sell 1 unit June hogs @ 9.75 to cover positions. Call the desk with any questions.